Restaurant solutions and technologies should be incorporated in any restaurant’s day-to-day operations in order to succeed. 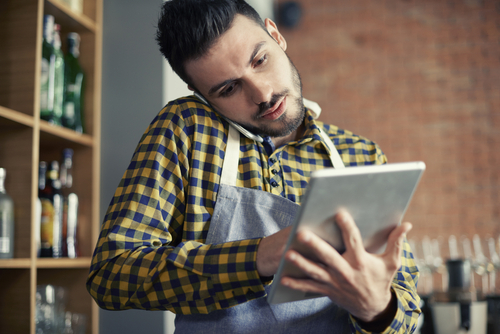 Whether you are an up and coming restaurateur or an industry veteran, your restaurant’s ability to constantly innovate can be the difference between success or being in shambles. With that in mind, here are five restaurant solutions restaurant owners need to have to innovate and rise above the competition: Electronic Ordering One of the coolest things we’ve seen from the restaurant industry this past decade is the advent of electronic ordering. 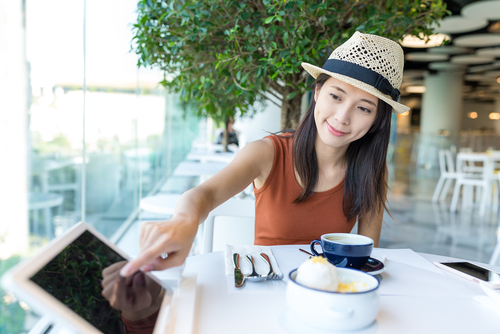 Some restaurants are now using tablets, smartphones, or a touch-screen based kiosk instead of paper menus and static display signages. This high-touch-high-tech innovation lets customers see better the item they are about to order. What’s convenient is that digital menus allow you to change menu items and revise prices instantly, without the need to reprint a new batch of menus. Digital menus can also show interesting content that your customers can enjoy while waiting for their order. Some tabletop restaurant solutions even let customers not only order the items they want but also pay for them without asking for the check. According to a Cornell University study, restaurants that installed an electronic ordering system increased their table turnover, among other benefits. There are tons of electronic ordering solutions available online. Some companies offer to install electronic menus in your own iPads or Android tablets. Others, like Ziosk, offer a dedicated tabletop ordering system with additional features such as cashless payments and fun games for the kids. Cloud-Based Point-of-Sale Solutions The Point-of-Sale or PoS is the cornerstone of any restaurant’s front-of-house: it processes orders for kitchen crew, generates checks for customers, and records transactions on a daily basis. As the industry becomes more competitive, the Point-of-Sale has stepped up its game, too, with the rise of cloud-based PoS. 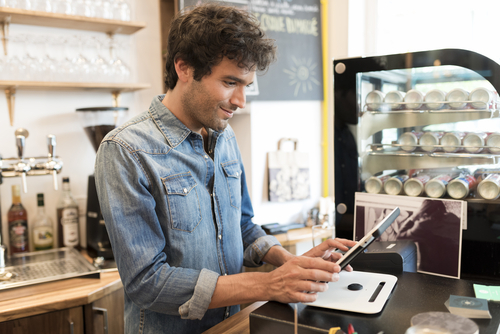 Leveraging on the cloud expands your PoS’ capabilities. Food Newsfeed wrote in-depth on the benefits of cloud-based Point-of-Sale. According to the article, cloud-based PoS enables restaurants to increase their profitability with better insights. This is especially true if the cloud-based Point-of-Sale can integrate multiple forms of data with each other, such as transactions, inventory, and employee schedules. It can also instantly add new features as it is released. As it is connected to the internet, the cloud-based PoS can minimize business risk with better security and off-site data backups. Finally, it can also minimize labor costs with costly human errors minimized. Clover is one of the most flexible cloud-based PoS restaurant solutions available in the market today. For restaurateurs who are starting from scratch, they have a small countertop or handheld PoS stations that accept even the latest EMV and NFC payments. And for established restaurants, Clover also works well with existing PoS machines. It can connect to the internet via WiFi, 3G, or Ethernet and it can store sales data offline for up to seven days. Restaurant Inventory Management Software Inventory can make or break your restaurant: doing it right controls your restaurant’s food costs, which improves profitability. However, inventory is quite a chore, involving numerous man hours of countless tasks. Using a restaurant inventory management software can lessen the stress that comes with inventory. According to this Medium post by Daphne Blake, using a restaurant inventory management software can automate and optimize the supply chain. It can track and order inventory with a simple click of a button. And of course, using that software gives you an accurate picture of your restaurant’s inventory. Cloud-based restaurant inventory management software is a better option for today’s restaurant market. SimpleOrder and MarketMan are excellent restaurant solutions, with both having extensive features and powerful integrations with other software. Reservation and Waitlist Applications Part of the day-to-day restaurant business involve hosts taking reservations on the phone. And on a busy day, such as the weekend dinner service, your restaurant will also have a queue of customers waiting to be served. Mismanaging a restaurant’s reservation and waiting list can result on a lot of no-shows and walk aways. This may cause terrible online reviews, without them even tasting your offerings. Restaurant reservation and waitlist applications bring this essential process to the modern age. Customers can now use their smartphones to book reservations in advance, with SMS and email notifications that will remind them on or before the day itself. For the benefit of walk-in customers, leveraging on the same system enables restaurateurs to even ditch costly pager systems. With this new system, customers can make the most of their wait time with other activities, such as shopping at nearby stores. The application can give an accurate wait time and notify customers whenever their table is ready. OpenTable and Yelp Reservations are the biggest names in the online reservation service industry. Signing up for these services can really boost your business. NoWait, which was recently acquired by Yelp, can also let your restaurant waitlist customers through a smartphone app. Workforce Management Software At the core of any restaurant is the people running it. No matter how much tech a restaurant possess, it is still up to the staff to deliver top-notch service all the time. Workforce management will require the lion’s share of the restaurateur’s time. In fact, hundreds of restaurant owners surveyed by TouchBistro said that rostering is the number one pain point they face in the business. Some restaurant owners would spend 8-12 hours a week just on rostering, payroll, and making adjustments. This is just to make sure that no shift is understaffed, and the right people are working during the right shifts. That’s a lot of time that could have been spent on more valuable activities such as innovating the restaurant’s menu or crafting a creative marketing and promotions strategy. Offloading to a feature-rich workforce management solution can streamline the entire process for restaurant owners, enabling them to focus more on the core business. Tanda provides restaurants with all the tools and solutions they need to manage their workforce. It helps restaurants optimize their operations for a smooth running business. With Tanda, restaurateurs can quickly build weekly rosters with a drag-and-drop interface and send it instantly to staff via SMS and email. They can also track time and attendance accurately as they go with the Tanda Time Clock app. With Tanda’s technology, restaurateurs spend less time on administrative tasks. Timesheets are automatically calculated with pre-set rules for accurate payroll, and Tanda easily integrates with existing best-of-breed payroll software, decreasing the hassles of making sure each staff gets the right salary on payday. Click here to find out more on how Tanda streamlines workforce management for restaurants. Restaurant solutions and technologies should be incorporated in any restaurant’s day-to-day operations in order to succeed. Whether you are an up and coming restaurateur or an industry veteran, your restaurant’s ability to constantly innovate can be the difference between success or being in shambles. 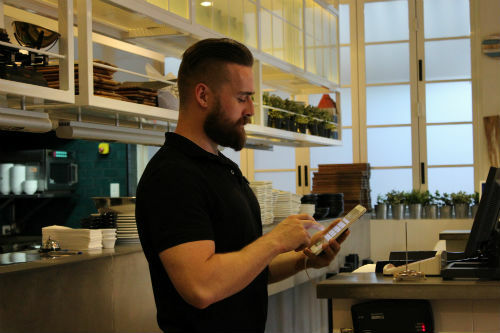 One of the coolest things we’ve seen from the restaurant industry this past decade is the advent of electronic ordering. Some restaurants are now using tablets, smartphones, or a touch-screen based kiosk instead of paper menus and static display signages. This high-touch-high-tech innovation lets customers see better the item they are about to order. What’s convenient is that digital menus allow you to change menu items and revise prices instantly, without the need to reprint a new batch of menus. Digital menus can also show interesting content that your customers can enjoy while waiting for their order. Some tabletop restaurant solutions even let customers not only order the items they want but also pay for them without asking for the check. According to a Cornell University study, restaurants that installed an electronic ordering system increased their table turnover, among other benefits. There are tons of electronic ordering solutions available online. Some companies offer to install electronic menus in your own iPads or Android tablets. Others, like Ziosk, offer a dedicated tabletop ordering system with additional features such as cashless payments and fun games for the kids. The Point-of-Sale or PoS is the cornerstone of any restaurant’s front-of-house: it processes orders for kitchen crew, generates checks for customers, and records transactions on a daily basis. As the industry becomes more competitive, the Point-of-Sale has stepped up its game, too, with the rise of cloud-based PoS. Leveraging on the cloud expands your PoS’ capabilities. Food Newsfeed wrote in-depth on the benefits of cloud-based Point-of-Sale. According to the article, cloud-based PoS enables restaurants to increase their profitability with better insights. This is especially true if the cloud-based Point-of-Sale can integrate multiple forms of data with each other, such as transactions, inventory, and employee schedules. It can also instantly add new features as it is released. As it is connected to the internet, the cloud-based PoS can minimize business risk with better security and off-site data backups. Finally, it can also minimize labor costs with costly human errors minimized. Clover is one of the most flexible cloud-based PoS restaurant solutions available in the market today. For restaurateurs who are starting from scratch, they have a small countertop or handheld PoS stations that accept even the latest EMV and NFC payments. And for established restaurants, Clover also works well with existing PoS machines. It can connect to the internet via WiFi, 3G, or Ethernet and it can store sales data offline for up to seven days. Inventory can make or break your restaurant: doing it right controls your restaurant’s food costs, which improves profitability. However, inventory is quite a chore, involving numerous man hours of countless tasks. Using a restaurant inventory management software can lessen the stress that comes with inventory. According to this Medium post by Daphne Blake, using a restaurant inventory management software can automate and optimize the supply chain. It can track and order inventory with a simple click of a button. And of course, using that software gives you an accurate picture of your restaurant’s inventory. Cloud-based restaurant inventory management software is a better option for today’s restaurant market. SimpleOrder and MarketMan are excellent restaurant solutions, with both having extensive features and powerful integrations with other software. Part of the day-to-day restaurant business involve hosts taking reservations on the phone. And on a busy day, such as the weekend dinner service, your restaurant will also have a queue of customers waiting to be served. Mismanaging a restaurant’s reservation and waiting list can result on a lot of no-shows and walk aways. This may cause terrible online reviews, without them even tasting your offerings. Restaurant reservation and waitlist applications bring this essential process to the modern age. Customers can now use their smartphones to book reservations in advance, with SMS and email notifications that will remind them on or before the day itself. For the benefit of walk-in customers, leveraging on the same system enables restaurateurs to even ditch costly pager systems. With this new system, customers can make the most of their wait time with other activities, such as shopping at nearby stores. The application can give an accurate wait time and notify customers whenever their table is ready. OpenTable and Yelp Reservations are the biggest names in the online reservation service industry. Signing up for these services can really boost your business. NoWait, which was recently acquired by Yelp, can also let your restaurant waitlist customers through a smartphone app. At the core of any restaurant is the people running it. No matter how much tech a restaurant possess, it is still up to the staff to deliver top-notch service all the time. Workforce management will require the lion’s share of the restaurateur’s time. In fact, hundreds of restaurant owners surveyed by TouchBistro said that rostering is the number one pain point they face in the business. Some restaurant owners would spend 8-12 hours a week just on rostering, payroll, and making adjustments. This is just to make sure that no shift is understaffed, and the right people are working during the right shifts. That’s a lot of time that could have been spent on more valuable activities such as innovating the restaurant’s menu or crafting a creative marketing and promotions strategy. Offloading to a feature-rich workforce management solution can streamline the entire process for restaurant owners, enabling them to focus more on the core business. Tanda provides restaurants with all the tools and solutions they need to manage their workforce. It helps restaurants optimize their operations for a smooth running business. With Tanda, restaurateurs can quickly build weekly rosters with a drag-and-drop interface and send it instantly to staff via SMS and email. They can also track time and attendance accurately as they go with the Tanda Time Clock app. With Tanda’s technology, restaurateurs spend less time on administrative tasks. Timesheets are automatically calculated with pre-set rules for accurate payroll, and Tanda easily integrates with existing best-of-breed payroll software, decreasing the hassles of making sure each staff gets the right salary on payday. Click here to find out more on how Tanda streamlines workforce management for restaurants. Traffic at a restaurant ebbs and flows with the times. One moment you’ll only have a handful of patrons, the next an avalanche of customers are queuing at the entrance, waiting to be served. From being overstaffed at a certain time period, suddenly your wait staff are juggling multiple tables while tickets are lining up like crazy at the kitchen. How do you effectively plan your coverage so that you get the most out of the staff that you have? Forecast Sales and Traffic First things first, of course, is that you have to effectively forecast your restaurant’s sales and traffic at any given day. It might not be an exact science, but Bplans has an in-depth article that can guide you in creating a clear sales forecast. In summary, the article advises that you calculate the number of meals your restaurant can serve based on the number of tables and seats. Multiply those meals based on the amount of service at any given time (in their example, it’s one service during lunch and two services for dinner). Then vary it based on assumptions per day or week (maybe less on Mondays and more on the weekends). And finally, line it up in a spreadsheet. Determine Your FTEs, Make Sure That You Have 2 FTEs more In Any Given Shift So, you have a good sales projection available. Now, it’s time to review your staffing and check if you have enough of everyone for any given shift. It all boils down to the FTEs. FTE stands for “full-time equivalent,” or the number of hours a full-time employee can render in a week. According to this article from TheRestaurantExpert.com, back-of-house employees have 40 hours in one FTE. Those on the front-of-house, on the other hand, have five shifts in one FTE. The same article deep dives on ensuring that your restaurant has enough people through FTEs. Long story short: they recommend to always have two FTEs more than your forecast dictates so that you have enough people covering the restaurant. With that as a rule-of-thumb, you can be creative with your staffing. Cross-train staff so that they can do more than one task. Have bartenders also learn how to cook simple dishes or have new wait staff also cover bussing or washing dishes. Craft Your Rota Once everything is set, it’s time for you to make the weekly rota. Make this task quicker for you by leveraging online rota software that replaces the old-school way of using whiteboards or Excel spreadsheets. Take into consideration your staff’s leave request vis-à-vis your traffic. Remember to send the weekly shift schedule to your staff at least two weeks in advance so that your team is well in the know when they have to time in. Whether you’re a start-up restaurateur or a veteran with a dozen restaurants under your belt, ensuring coverage can make you have sleepless nights. But with a proper plan that you consistently execute and fine-tune, your customers are guaranteed enjoy great service any time of the day. We at Tanda are pleased to announce that our time clock application is now available to download for Windows and macOS devices. Starting today, employees can have the same experience they’ve always enjoyed with the tablet version of our employee time clock, but now on the desktop. It accurately records employee attendance and compares it with the weekly rota. It also updates the timesheets automatically to the cloud and stores it offline when the device is not connected. And if the computer has a webcam installed, it can also take a selfie of the employee when they clock in and out just like the mobile app! There are so many great uses for Tanda Time Clock for the Desktop. You can now have employees clock in and out in their respective desktop workstations instead of going to wherever the tablet is located. It can also be a backup option if and when your office’s main Tanda Time Clock is unavailable. Remote employees can also use the Tanda Time Clock for the Desktop to clock in and out using their own computers. Existing users can click here to find out how to download the Tanda Time Clock for Desktop. Are you a new user? Signup for free here to use Tanda to track time and attendance for your business, and so much more.